have important implications for investment and speculative decisions. TRIPATHI, Vanita; SETHI, Shruti. 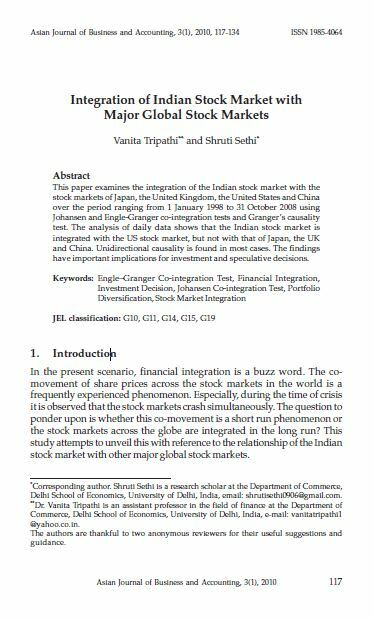 Integration of Indian Stock Market with Major Global Stock Markets. AJBA, [S.l. ], v. 3, n. 1, p. 117-134, june 2010. ISSN 2180-3137. Available at: <https://ajba.um.edu.my/article/view/2225>. Date accessed: 25 apr. 2019.